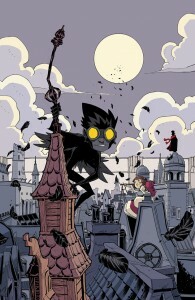 An unusual new all-ages miniseries is coming soon from Archaia. 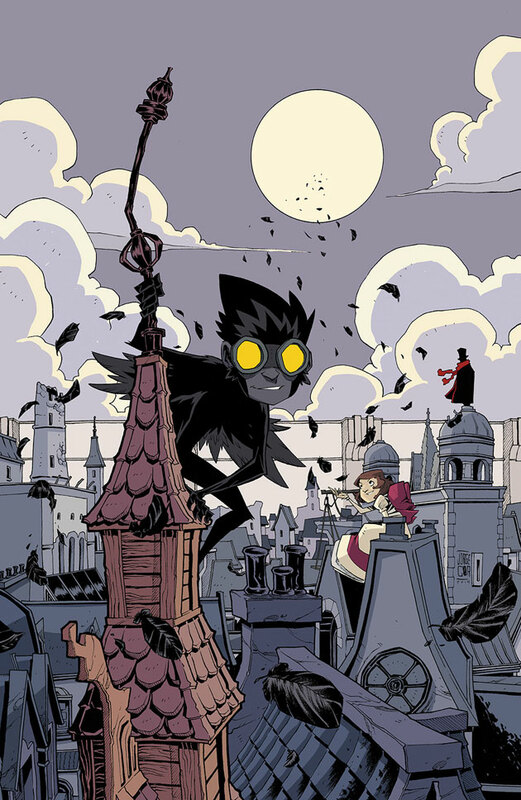 Written and illustrated (in full color) by Jorge Corona, Feathers tells the story of a young boy named Poe who is, yes, feathered. But that’s hardly the strangest thing about his world. “A reclusive boy born covered in feathers must help his first-ever friend, a young girl named Bianca, as she tries to return to her home beyond the slums of the Maze. They must dodge street gangs and child-snatchers along the way, and perhaps together will learn the secrets to his mysterious past.” Check out the review over at Bleeding Cool, and look for the first of six issues to arrive in stores this January.